Jim James is looking for a unique/striking video for the critically acclaimed song 'State Of The Art (A.E.I.O.U.)'. As the singer, songwriter, and guitarist for My Morning Jacket, James has been the focal point of a group that has grown into one of the most acclaimed and successful rock and roll bands in the world. 'Regions Of Light And Sound Of God' is his first solo album, which he wrote, performed and produced! Jim would love something organic/natural but also high tech, but he's definitely open to any great interpretations - so listen to the song, read the lyrics, be inspired and then get creative! Deadline for submissions is 18 September 2013, 23:59 GMT time. Note: because the winning video receives a premiere, videos will not be visible as a group on this project page until after the premiere. You are also not permitted to share your video on any site until the winner of this project has been announced. The winner will receive $4000 and their video will receive an online premiere as well as being published on Jim James' YouTube channel, website and social media sites as the official music video. Outstanding videos will also be nominated for the 2013 Genero Awards with $50K in payments. The winner and finalists will be chosen by Jim James, ATO Records and Genero. 'Regions of Light and Sound of God' is the first solo album from the singer, songwriter, and guitarist for My Morning Jacket. Over the course of fifteen years and six studio albums, James has been the focal point of a group that has grown into one of the most acclaimed and successful rock and roll bands in the world. With this project, he reaches into new territory that extends, but doesn't breakfrom, MMJ's accomplishments. James has maintained a steady, bordering on voracious, flow of work alongside the band's recording and touring. In 2009, he released theTribute to EP, with his versions of six George Harrison songs. He has also lent his voice to albums by the likes of the Decemberists, the Roots, America, Booker T. Jones and the Preservation Hall Jazz Band, whose new album James co-produced. Jim has also recorded and toured with the Monsters of Folk--which teamed him up with Conor Oberst, M. Ward, and Mike Mogis. This year, James curated the Super Jam at this year's Bonnaroo featuring John Oates , R.Kelly, Preservation Hall, Billy Idol, and Brittany Howard of Alabama Shakes. He also joined the rest of My Morning Jacket, Wilco and Bob Dylan for this Summer's "AmericanaramA Festival." "As a person and as a musician, I love to play every instrument under the sun, and I wanted to make a record where I played all the instruments and engineered it myself." 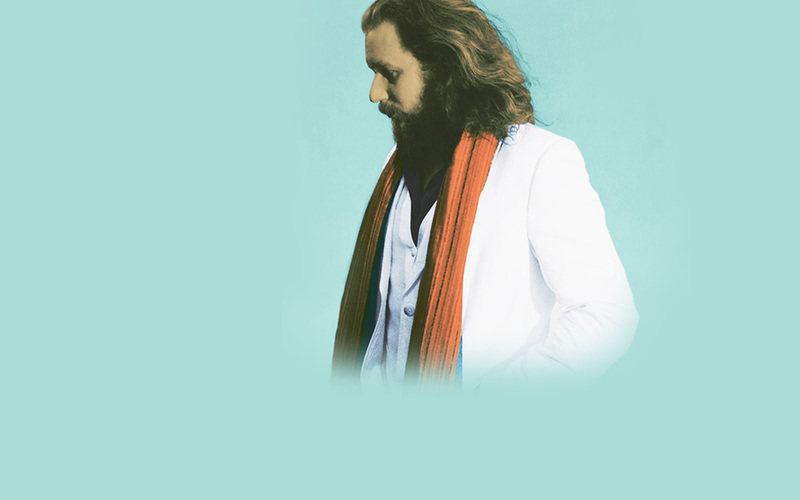 'Regions of Light and Sound of God' was written, produced and all instruments performed by Jim James (with the exception of strings and percussion) in Louisville, KY. The music on the album is inspired by life and the novel in woodcuts 'God's Man' by Lynd Ward. A huge congratulations to Staci DeGagne, Alexander Fletcher and Joe Barham of San Francisco-based production company Clean White Lines! A mysterious, technological stranger wanders The City and interacts with its inhabitants.